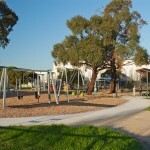 A playground had existed on this site in Clayton South for many years, but without any associated park development to support or encourage its use. 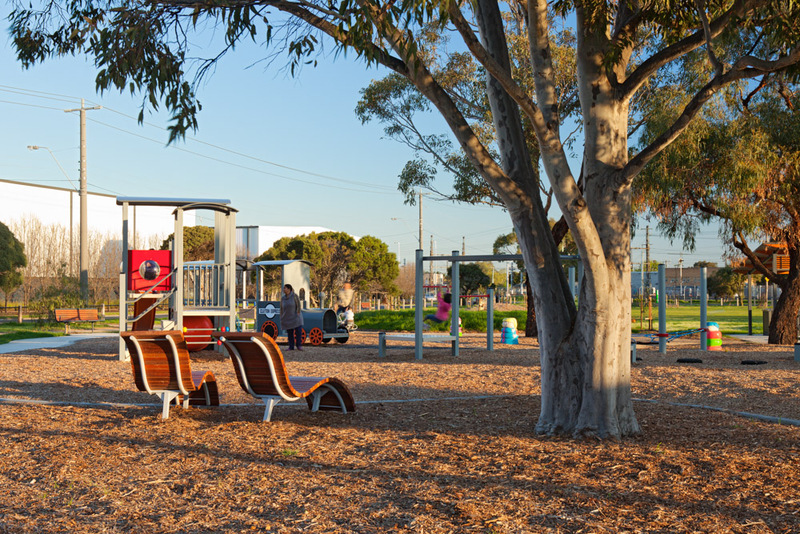 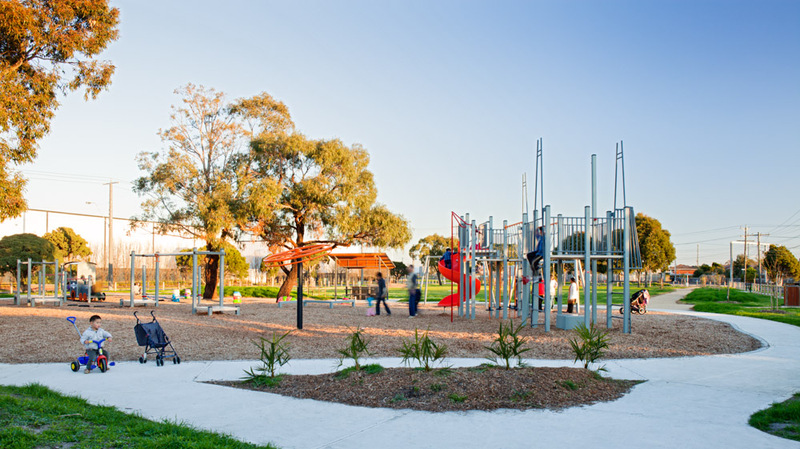 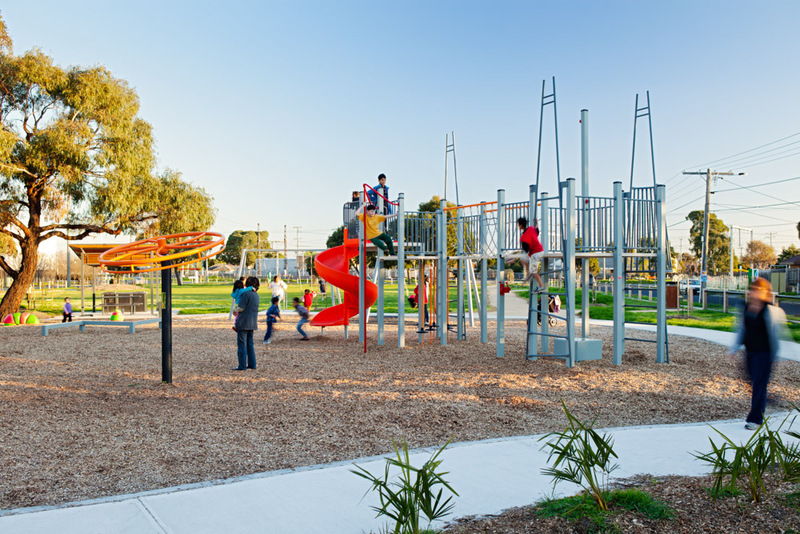 Urban Initiatives prepared a masterplan for the park and a playspace design which responded to the particularities of the site. 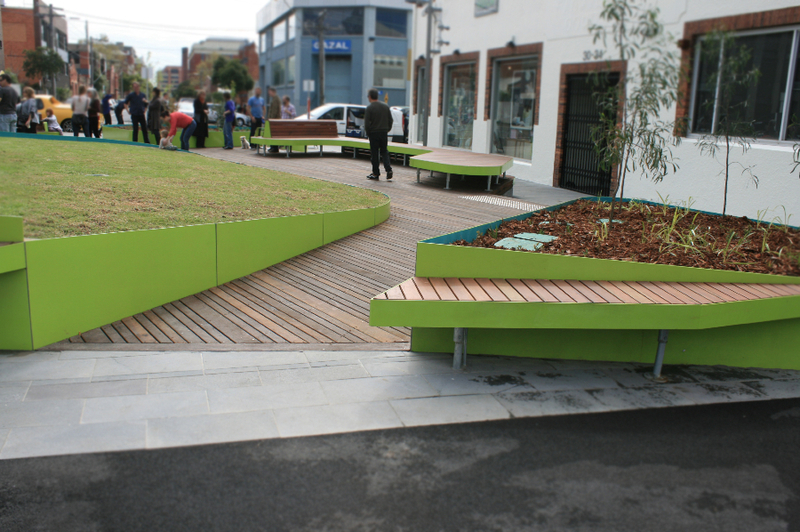 The playspace design, quoted some of the colours and forms of the industrial site to one side while also referencing the train line to the south of the park. 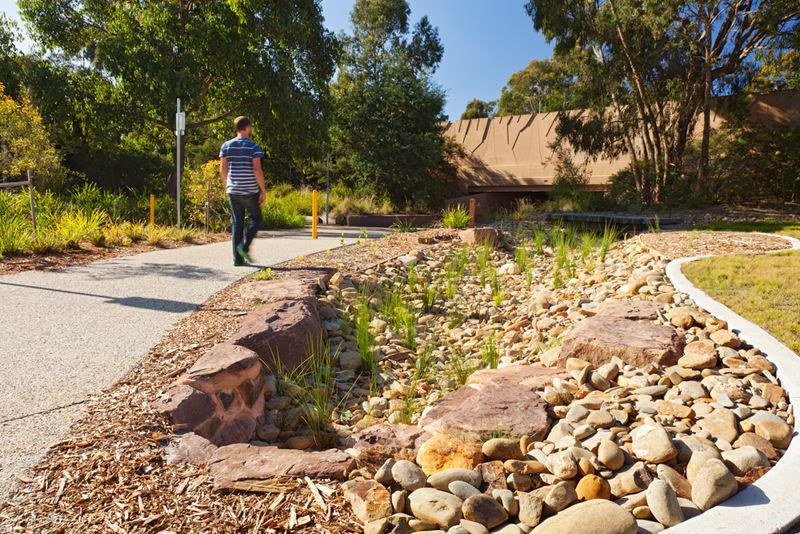 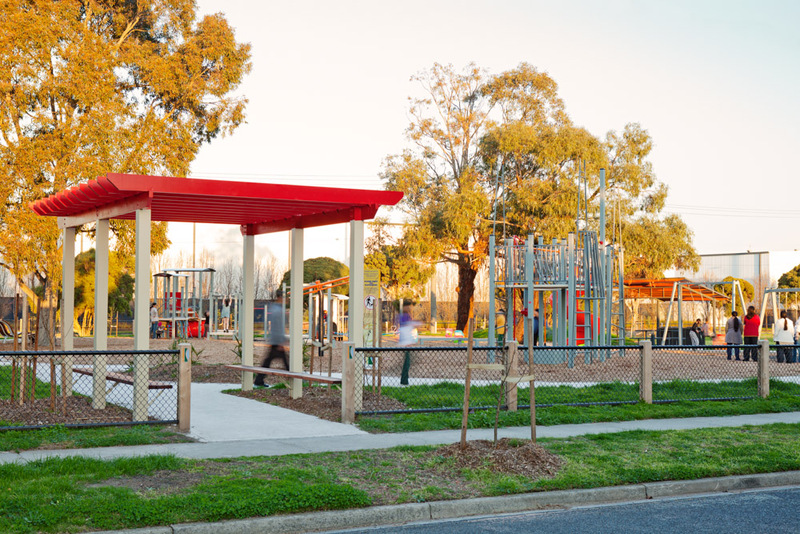 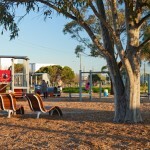 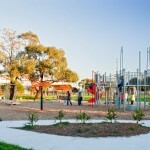 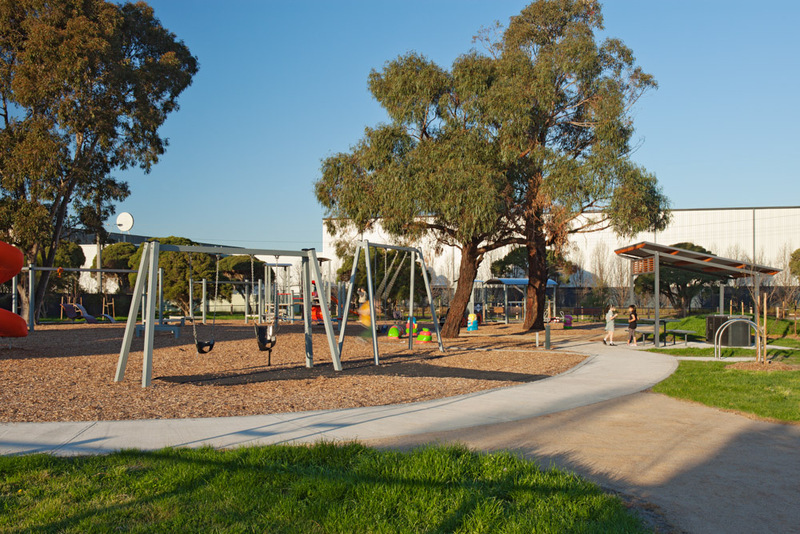 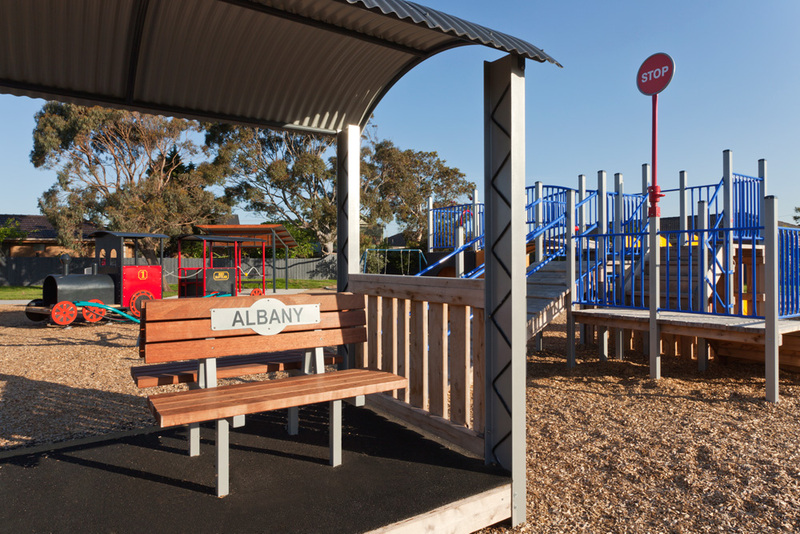 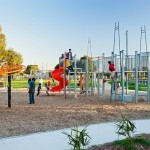 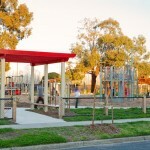 The playspace caters for children of many ages, and is complemented by shelters, paths and extensive planting.